I have been really good when it come to beauty shopping since i have too much stuff that i have to get through. If only i could say the same with regards to fashion shopping. But the other day i went to super drug , boots and Wilko to pick up some stuff i needed and so i thought i would share some of these amazing find with you guys. I love the smell of these two shower creams or smoothies, The lemon one is so fresh and fruity and the vanilla and honey one actually makes my mouth water when i use it. Its smells yummy and the good things is you skin still smells like that for several hours and its really moisturising as well which is essential. The boots Clean off Nail Polish Remover is my favourite. I cant take credit for discovering this gem though. My sister gave me on in my christmas box and since then i have repurchased it so many times i have lost count. I will do a review for you guys soon i think. I saw a friend of mine the other day and her skin looked amazing.. She was for lack of a better word glowing and when i asked her what she was using, i expected her to mention some expensive face cream and so you can imagine my surprise she she said that she was using this Superdrug brightening day cream. I was a bit worried about breaking out but so far so good. And it was really good value for money as well. 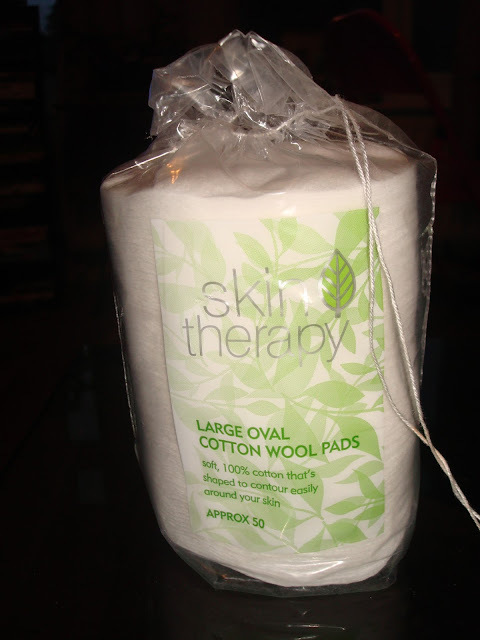 I Love using these 100% cotton wool pads to remove my makeup. I used to use the little one but i was using about three with these ones i only need one. Ok so i have been talking about dying my hair for a while now and i have finally brought the bleach. Its autumn now and i feel i need some rejuvenation in my appearance. I am easily bored with hair styles and am so thankful for extensions.